Wetnotes, anteckningsblock med "plastpapper" som tål väta och fukt. Skriv med bläck eller blyerts. 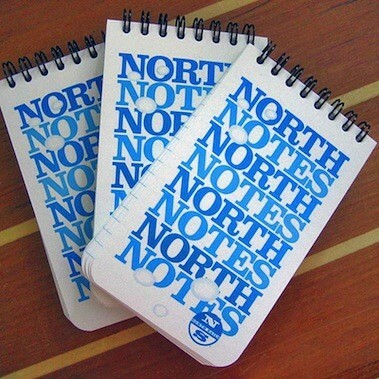 Perfect for writing and logging important information in the heat and humidity or rain and snow, North's Wet Notes are a great gift for the "sailor who has everything!" North's Wet Notes are a top-spiral-bound notebook that includes 50 horizontally-lined, water resistant sheets. The front and back plastic covers provide protection for the paper. Size is 3 inches by 5 inches - ideal to keep in your pocket.